Taylor's Bulbs Carlingford Seed Potato Taster 10 Pack from the 'Grow Your Own' range are a Second Early potato variety for harvest July to September. 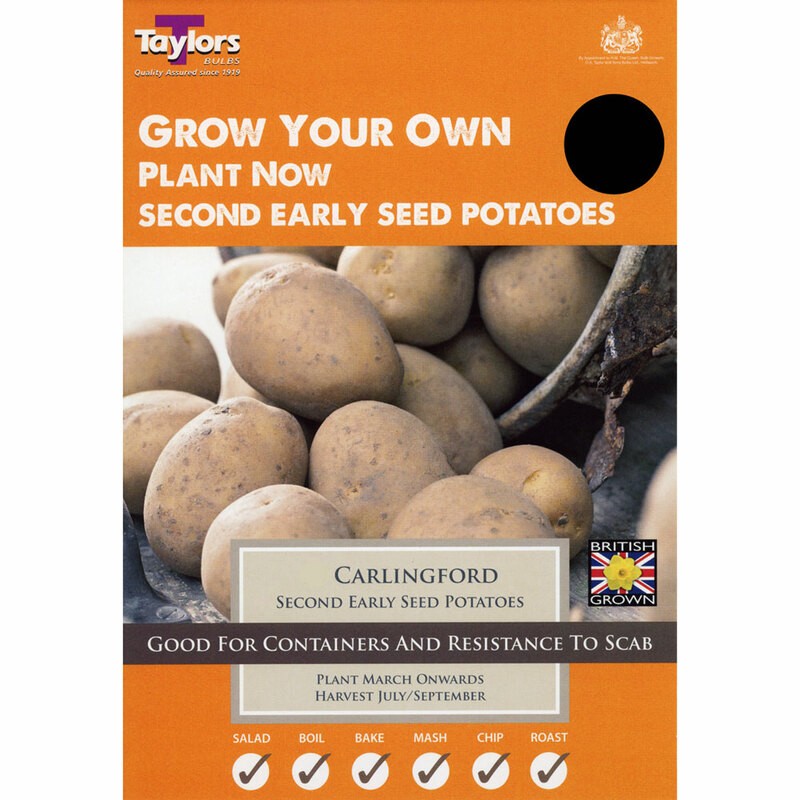 Carlingford seed potatoes are an excellent salad type second early variety which produce a high number of round-to-oval shaped tubers. Potatoes have white skin and creamy coloured flesh with a firm, waxy texture for salad use. Disease resistance is good for common scab, skin spot and potato virus resistance. Carlingford can also be used as a second cropping variety and planted in early August for harvesting near Christmas.